A fictional creation of composer Peter Schickele, the legend of P.D.Q. Bach places him as the youngest child of J.S. Bach. 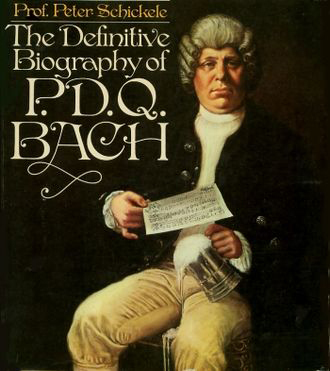 The elder Bach and the rest of the Bach clan ignored P.D.Q. throughout his life, pushing him into obscurity. Interestingly, according to the company that now publishes his works, "...the more he wrote, the more unknown he became. He finally attained total obscurity at the time of his death..." Over eighty of his works have recently (starting in 1954) been "rediscovered" by Schickele and have been performed by over fifty orchestras.